SBI QandA Sessions are regularly held (LIVE) on the Internet. 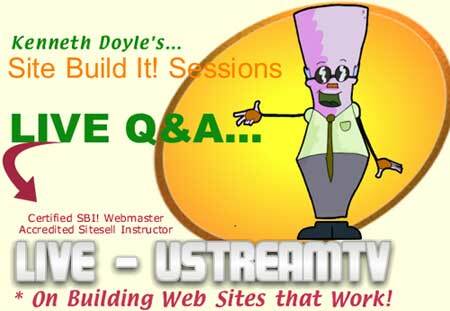 These FREE 45 minute Q&A sessions are run by a Certified SBI Webmaster who is also an Accredited Sitesell Instructor. Complete the form, we'll email you the SBI Q&A schedule... and the web site address for the LIVE Solo Build It sessions!